This issue of the G20 Monitor provides a guide to the policies that G20 members will have to tackle to achieve the G20’s 2 per cent growth target, drawing on the recommendations of the IMF, OECD and a number of international think tanks. What will it take to lift G20 GDP by 2 per cent? A key initiative in Australia’s 2014 G20 Presidency is to lift global growth by more than 2 per cent over five years above what the IMF was forecasting in the October 2013 World Economic Outlook. The Brisbane Action Plan, to be released at the Brisbane Leaders’ Summit, will detail the new policy measures proposed by G20 members to achieve the growth target. Since the target is for an extra 2 per cent in global growth, it will require extra policy measures. To have credibility, the additional policy steps outlined in the Brisbane Action Plan should cover the policy gaps that the IMF and OECD have identified for each G20 member. Significant structural reforms will be required by G20 members. Such reforms are often contentious and the IMF and OECD have warned there is a high implementation risk. To help maintain political momentum in advancing the reforms, G20 members should commit to the international organisations regularly publishing implementation reports for each G20 member along with overall progress towards meeting the G20’s growth target. The date for the first progress reports should be agreed at the Brisbane Summit. This issue of the G20 Monitor contains a series of papers commenting on the G20’s objective to increase global growth. In February 2014 G20 Finance Ministers and Central Bank Governors committed to lift global growth by 2 per cent over five years above what the IMF was forecasting at the time of the October 2013 IMF-World Bank Annual meetings. Each G20 member has agreed to submit a comprehensive growth strategy at the Brisbane G20 Summit that will include the additional policy measures required to achieve the increase in global growth. The growth strategies will be combined to form the Brisbane Action Plan. At the G20 Finance Ministers and Central Bank Governors meeting in Cairns on 20‑21 September 2014, the IMF and OECD said that the new policy measures that had been submitted by G20 members to date would, if fully implemented, increase global growth by an additional 1.8 per cent over the next five years. They did, however, note that there were high implementation risks. Countries have not publicly released the specific policy reforms that are part of their growth strategies. Presumably these will be included in the action plan that will be released at the Brisbane Summit. The papers in this Monitor provide a guide as to the specific policy reforms G20 countries will have to implement if the extra ‘2 per cent growth target’ is to be achieved. My paper provides a summary of the main OECD and IMF policy recommendations to increase growth in each G20 member country. The objective is to achieve extra growth, consequently, extra policy steps are required by each G20 member if the 2 per cent target is to be realised. Increasing global growth is an overarching priority of the G20. The Australian Treasurer, Joe Hockey, has said that when Australia started its G20 presidency, the global economy was in a mediocre state with the IMF downgrading its global growth outlook six consecutive times over the past few years. Against this backdrop, Mr Hockey stated that something had to be done to decisively shake off the legacies of the crisis. The response was the commitment by G20 Finance Ministers and Central Bank Governors at their meeting in Sydney in February 2014 to introduce the necessary policy measures to lift global growth by more than 2 per cent over five years. Each G20 member will submit the specific policy measures it will implement to collectively achieve the growth target and these actions will be combined into the Brisbane Action Plan. Where did the 2 per cent number come from? The additional 2 per cent growth target is based on model simulations undertaken by the IMF, OECD and World Bank. These organisations prepared a paper for the February 2014 G20 Finance Ministers and Central Bank Governors meeting which identified that if each G20 member corrected specific policy gaps, world real GDP would increase by about 2¼ per cent (or $US 2¼ trillion) in 2018. This is relative to the IMF’s projections for global growth made in October 2013, implying 0.5 percentage points higher growth over the next five years. Growth in a number of G20 countries has slowed. The IMF cut its growth forecast for the United States in 2014 from 2.8 per cent to 2.2 per cent. There was no growth in France, Germany and Italy in the second quarter of 2014 and in July 2014 Japan cut its growth forecast for 2014 from 1.4 per cent to 1.2 per cent. In August 2014 the Reserve Bank of Australia projected growth in Australia in the twelve months to June 2015 of 2 to 3 per cent, down from a forecast of 2¼ to 3¼ per cent made three months earlier. The reduction in growth forecasts during the course of 2014 means that an even larger increase in global growth is now required to achieve the target established by G20 Finance Ministers and Central Bank Governors in February 2014. What policies are needed to achieve the extra 2 per cent growth target? 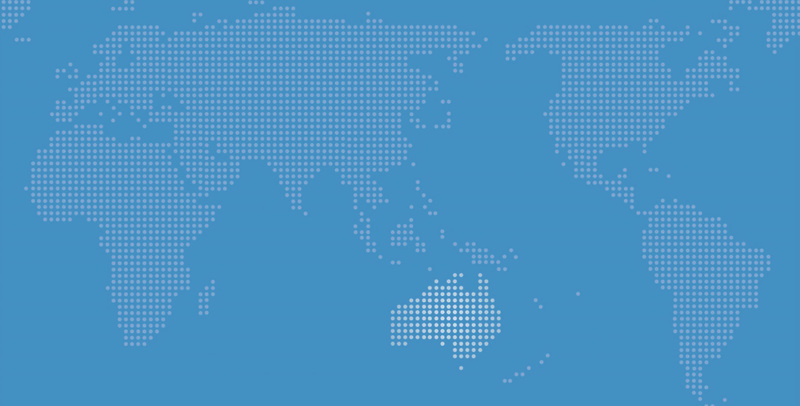 The Australian presidency has stated that G20 members themselves should determine the policy actions that will form the basis of the Brisbane Action Plan. However, to have credibility, these policy actions will have to address the policy gaps identified by the international organisations. At the Cairns meeting of G20 Finance Ministers and Central Bank Governors on 20-21 September 2014, the IMF reported that if the policy reforms that had been submitted by members to date were implemented in full, global growth would increase by 1.8 per cent over five years. The policy gaps identified by the international organisations in their advice to ministers in February 2014 were in six areas: fiscal, rebalancing, labour supply, other labour market reforms, product market reforms, and infrastructure investment. In the modelling, product market reforms contribute the most to the higher growth, followed by labour participation reforms and infrastructure investments. In addition to measures to lift growth, the international organisations also advocated for polices to reduce global imbalances. They noted that while the rebalancing policies do not contribute much to medium-term growth, they are needed to reduce risks to the sustainability of growth arising from domestic and external imbalances, including risks of financial crises. As a guide to the specific policy measures that should be part of each member’s growth strategy and the Brisbane Action Plan, the following section outlines the assumptions regarding country actions that are the basis of the international organisations’ simulations. Fiscal consolidation is phased in progressively over five years, except for Japan where it is phased in over ten years. In China, additional reforms to education, health care, and pensions raise public transfers by 1.1 per cent of GDP and reduce private saving by 1 per cent over five years. Financial sector reforms better price risk and raise the cost of finance to tradable sector firms by 50 basis points after five years. The financial sector reforms also result in a shift to higher-quality investments, implying a reduction in the private capital depreciation rate of 50 basis points after five years. These policies are accompanied by a fully flexible exchange rate. In Germany, reforms are implemented that lower the cost of capital by 90 basis points and increase economy-wide productivity by 1 per cent after five years. In the United States, reforms encourage an increase in the private saving rate by 0.6 per cent of GDP after five years. Product market and labour market reforms to ease overly restrictive employment protection legislation and to boost productivity are a priority in Argentina, Brazil, France, India, Indonesia, Japan, Korea, South Africa, and Turkey. Reforms that increase the labour force participation rate though increases in childcare spending are a priority for Germany, Japan, and Korea. Pension reforms that increase participation rates are a priority in France, Germany, Japan, and Russia. Active labour market reforms are a priority in Canada, France, India, Indonesia, Italy, Japan, Korea, Russia, South Africa, and the United States. The reform scenario includes a permanent increase in public investment by ½ per cent of baseline GDP in the United States, Germany, Brazil, India, and Indonesia. It is assumed the increase takes place gradually over two years and is financed by a reduction in general transfers. A further guide as to the types of reforms, particularly structural reforms, which could be in the growth strategies G20 members present at the Brisbane Summit can be gained from the country recommendations contained in the OECD’s Going for Growth framework and the most recent IMF Article IV reports for G20 members. These are summarised in the attachment. This paper is intended to provide a guide as to the range of policy reforms that G20 members should bring to the Brisbane Summit. A major outcome would be the release of an assessment by the international organisations that the policy measures G20 have submitted will see a significant increase in global growth and that the organisations will be revising their forecasts accordingly. In order to boost credibility, the G20 should also ask the organisations to monitor implementation of these policies. Director G20 Studies Centre, Lowy Institute for International Policy. World Bank, Global Economic Prospects, June 2014. IMF, World Economic Outlook Update, October 2014, http://www.imf.org/external/pubs/ft/weo/2014/02/pdf/text.pdf. The OECD’s Going for Growth exercise does not cover Argentina and Saudi Arabia. Improve efficiency of the tax system by reducing the comparatively high headline company tax rate and relying more on indirect taxes, such as the goods and services tax (GST). Enhance capacity and regulation in infrastructure in a cost-effective way, for example by expanding user and congestion charges in transport. Further promote foreign direct investment (FDI) by easing the stringency of screening procedures. Cuts in projected spending and/or increases in revenue are required to return the budget to surplus in coming years to build fiscal buffers. Policies are required to improve productivity to maintain growth in living standards. Addressing infrastructure bottlenecks is a key priority, and enhancing the framework for the selection and prioritisation of infrastructure projects based on rigorous cost-benefit analysis, and including more involvement by the private sector, would help allow for spending on infrastructure consistent with the government’s deficit reduction goals. Enhance outcomes and equity in education by improving teacher pay, training and performance incentives as well as expanding vocational and training programs. Raise the currently low formal sector participation levels by improving incentives for formal labour force participation, especially among seniors. Reduce distortions in the tax system, for instance by reducing fragmentation and complexity. Increase private investment in infrastructure and remove barriers to competition. Improve the efficiency of financial markets to allow for more efficient capital allocation. Monetary policy should be assigned the main role in aggregate demand management and the focus of fiscal policy should be on rebuilding buffers. Increasing the investment-to-GDP ratio and boosting productivity are critical to lifting growth. The increase in investment will have to rely on domestic saving to avoid a build‑up in external vulnerabilities. Further pension reform is required. Revising the minimum wage indexation mechanism, together with the efforts to rebalance demand away from consumption, are essential to keep labour costs in check, prevent further erosion of competitiveness, bolster the return on capital, and improve incentives for investment. Stimulate competition and investment by reducing barriers to entry and enhancing capacity in network sectors and professional services. Reduce barriers to FDI by further lifting FDI restrictions in key sectors and clarifying the net benefit test. Reform the tax system to make it more growth-friendly by shifting the burden from direct to indirect taxes. Enhance education outcomes by improving access to tertiary education for disadvantaged groups and facilitating the immigration process for foreign students upon graduation, to better respond to future labour market needs. Raise effectively the ability of firms to innovate and commercialise their products by improving R&D support policies. Monetary policy should remain accommodative. Fiscal adjustment should strike the right balance between supporting growth and rebuilding fiscal space. Continued steps are required to limit health-care spending. The need for extensive government-backed mortgage insurance should be re-examined. There is room for stronger coordination across federal and provincial authorities in both the supervision and stress-testing of large depository institutions. An entity should be given a clear mandate to carry out macro-prudential policy. Enhance equal access to upper-secondary education across regions and within urban areas and allow children to attend upper-secondary school in their place of residence. Ease government control over financial markets such as by allowing larger room for market-based setting of interest rates and for cross-border portfolio investments. Further enhance the rule of law to reduce legal uncertainty and improve the business environment. Giving the market a more decisive role, eliminating distortions, and strengthening institutions will result in more efficient use of resources, faster productivity growth, and rising living standards. Financial sector reforms that ensure a better allocation of savings and investment should include strengthened regulation and supervision, deposit rate liberalisation, increased reliance on interest rates as the monetary policy tool, and elimination of implicit guarantees. Fiscal and social security reforms are required to strengthen public finances, boost consumption, and foster more inclusive green growth. Further progress towards a more flexible, market-determined exchange rate is required. Reforms to state-owned enterprises are required to level the playing field between private and public sectors. Improve equity and outcomes in primary and secondary schools to reduce school failure at an early stage and reduce the impact of the socio-economic background on student performance. Improve the quality and efficiency of tertiary education by extending the autonomy of universities, allowing thereby for better funding. Shift the tax burden away from labour and reduce the relative minimum cost of labour, as high labour taxes undermine both labour demand and supply, and high minimum cost of labour reduces job opportunities for the low-skilled. Lower regulatory barriers to competition that are hindering both productivity and employment. Reform job protection and strengthen active labour market policies to reduce labour market duality and help unemployed workers to find jobs. Pursue fiscal consolidation involving an ambitious program of expenditure reduction that also provides tax cuts and regulatory simplification that will encourage investment. Labour and product market reforms should create more room for enterprise-level negotiations and expand competition in services. Indexation of the minimum wage should be reformed to limit the adverse impact on low-skilled employment. Stronger liquidity and capital buffers and improved bank resolution will better shield the economy and public finances from banking shocks. Promote competition in services by reducing regulatory barriers to competition, such as compulsory membership in professional chambers. Improve tertiary education outcomes by delaying tracking in lower secondary education further and developing tuition fees as well as student loans with income-contingent repayments. Strengthen work incentives by reducing tax wedges on labour income and shifting taxation towards less distortive sources. Remove obstacles to full-time female labour participation by introducing mandatory health-care contributions for non-working spouses and by reforming the joint taxation of married couples. To avoid the risk of labour market duality, ease job protection for regular workers. Increase needed public investment, particularly in infrastructure. Reform the services sector to boost competition and productivity. Provide greater clarity about the future energy sector regulatory framework to encourage private investment in the energy infrastructure. Decisions on the future level of the minimum wage should take into account the employment effects in certain areas. Banks should strengthen their capital positions and the macro-prudential framework needs to be ready as monetary conditions change. Increase the provision and efficiency of education services by enhancing teacher effectiveness and increasing teaching resources and autonomy in schools. Reduce the onerous dismissal restrictions applied to large firms in order to increase dynamism and formal employment. Reduce barriers to foreign trade and investment by reducing foreign ownership restrictions in various industries and pursuing common tariff rates among manufactured products. Promote more effective infrastructure-related regulation by streamlining land acquisition process and reducing regulatory uncertainty to promote private investment. Undertake wide-ranging financial sector reforms such as easing bank portfolio restrictions and allowing greater participation of foreign investors in the financial services sector. Further increases in interest rates to tackle high inflation and inflation expectations. Further fiscal consolidation involving tax and subsidy reforms. Enhanced financial sector supervision, better monitoring of banks’ credit quality, and improved information on corporate vulnerabilities. Address supply bottlenecks, particularly in the agriculture and power sectors, and the pricing and allocation of natural resources (coal, natural gas, fertilisers). Enhance outcome and equity in education by boosting enrolment rates and improving teacher quality. Address infrastructure bottlenecks by improving the regulatory environment for infrastructure and increasing public expenditure. Reform labour regulation by reducing onerous severance payments, replaced by the introduction of unemployment benefits, and cap minimum wage increases to tackle informality. Reduce energy subsidies, in particular on fossil fuels and electricity, while offering targeted support for the poor. Ease barriers to entrepreneurship and investment through simplified business licensing, reduced barriers to FDI, and strengthened institutions to fight corruption. Monetary policy should remain focused on anchoring inflation expectations and reducing balance of payments pressures. Fiscal policy should support monetary policy, led by tax and subsidy reform. Infrastructure investment should be accelerated, labour market rigidities addressed, policies introduced to deepen financial markets as well as steps to create a more open trade and investment regime. Rebalance protection from jobs to workers’ income by decreasing workers’ job protections on some types of contracts and improving the social safety net. Improve the efficiency of the tax structure by simplifying the tax code, fighting evasion and, when the fiscal situation permits, reducing the tax wedge on low-wage labour. Reduce barriers to competition by strengthening enforcement of laws at all levels of government, reducing public ownership and reducing delays in civil courts. Fiscal policy needs to strike a balance between setting the debt ratio on a downward path while avoiding excessive tightening. Reductions in labour taxes should be expanded and made permanent along with greater efforts to curb tax evasion. Reforms to labour market contracts to reduce duality, improve active labour market policies to reduce unemployment, and promote firm-level wage bargaining. Judicial reform to reduce the number of pending court cases, remove regulatory barriers to many markets and enhance competition and reform the insolvency regime to allow faster restructuring. Ease barriers to entry for domestic and foreign firms in the services sectors, notably by reducing restrictions on inward FDI and services imports. Promote higher female labour force participation by increasing the provision of affordable high-quality childcare and reducing fiscal disincentives for return to work. Reform job protection for regular workers while expanding the social security coverage and upgrading training programs for non-regular workers. Shift the tax burden from direct to indirect taxes by implementing the rise in consumption tax as planned, while broadening the income tax base and further reducing the corporate tax rate. Forceful reforms are needed to overcome structural headwinds to raising growth and ending inflation. Reforms are needed to lift labour supply, reduce labour market duality, and enhance risk capital provision, along with deregulation of the agricultural and services sectors. Corporate governance reforms are required to reduce firms’ preference for large cash holdings. A concrete medium-term fiscal reform plan is urgently needed. Successive consumption tax increases are critical to establish a track record of fiscal discipline. Reduce barriers to entry for domestic and foreign firms in networks and services so as to boost productivity through stronger competition. Encourage female labour force participation notably by expanding affordable, high‑quality childcare services, encouraging better work-life balance and reducing duality in the labour market. Reform employment protection to reduce labour market dualism by reducing employment protection on regular workers while expanding social protection for non‑regular workers. Shift the tax burden from direct to indirect taxes by relying more on value-added, environmental or property-holding taxes, while keeping labour income tax low. Reduce producer support to agriculture and lower barriers to agricultural imports so as to ease the burden on consumers. Risks to growth call for a comprehensive set of reforms that will be mutually reinforcing across a number of areas including to the fiscal framework, the labour market and the services sector. Reforms are needed to increase labour force participation and reduce labour market duality. Deregulation, restructuring and reduction in government intervention is required. Raise education achievement to accelerate productivity gains and decrease high inequality. Reduce job protection on formal contracts, the stringency of which hurt productivity growth and aggravate informality, also harming equity. Reduce barriers to FDI to enhance trade, investment and technological upgrading. Improvements in the rule of law are needed, as weaknesses in the legal system hurt efficacy of contracts and the security of property rights, reducing firm size and investment. Reduce barriers to entry and competition to stimulate productivity and formal-sector employment, as anti-competitive product market regulation, costly registration procedures and lack of contestability in key network sectors exert a drag on growth. Maintain the structural reforms that are underway, particularly upgrading public education, making labour markets more flexible, fostering competition in telecommunications, and strengthening the fiscal policy framework. Advance reforms in the financial sector that will increase intermediation, promote competition and enhance financial stability. Advance reform to the energy market. Lower barriers to FDI by shortening the list of strategic sectors in which foreign acquisitions require prior government approval. Raise the effectiveness of innovation policy, notably by supporting private-sector innovation activities. Reduce state control over economic activity and other barriers to competition by accelerating privatisation and using regulatory alternatives to direct state intervention. Reform the health-care system by shifting from hospital to primary care and stepping up efforts to encourage healthy lifestyles. Tighter monetary policy is required, along with a modest fiscal tightening. Structural reforms are essential to enhance Russia’s growth potential. Continued efforts at global integration are necessary to attract high-quality investment. Reforms are needed to address labour market skill mismatches, reduce large tax burdens, especially for SMEs, along with reducing administrative barriers and corruption. Advancing structural reforms is imperative to achieving faster growth and job creation. Measures to improve spending efficiency and composition are also critical for growth. Fiscal consolidation is required to reduce public debt over the medium term. Progress is required on key infrastructure projects to ease bottlenecks. Increased competition should be introduced into product and labour markets. Improvements in public services, particularly education and training, are required. Trade liberalisation would contribute to increased competition and improve growth dynamics. Improve active labour market policies by introducing comprehensive monitoring and evaluation of services and programs at the regional level, by monitoring more closely benefit recipients’ job search efforts and linking benefit payments to results, and by extending training measures for the unemployed. Make wages more responsive to economic and firm-specific conditions notably by considering abolishing legal extension of collective wage agreements. Consider moving to a uniform contract with initially low but gradually increasing severance pay so as to reduce the gap in job protection between temporary and permanent contracts. Reform secondary education and tertiary education to improve overall skills level and productivity. Lower entry barriers in services industries to enhance productivity and job creation. Bolster the banks’ ability to support the recovery by continuing to raise capital. Create jobs for the low-skilled by cutting the cost of employing them, compensated by higher indirect revenues. Make the labour market more inclusive and responsive by striking a better balance between permanent and temporary contracts. Help the unemployed improve their skills and enhance support to help them find a job. Gradually, but steadily, reduce the fiscal deficit. Reduce the cost of employment of the low-skilled by limiting the growth of the relatively high minimum wage and by further lowering social security contributions. Improve quality and equity in education notably by granting schools and universities more autonomy and resources, in return for greater performance accountability. Reform employment protection legislation while expanding the scope and eligibility of unemployment insurance so as to boost employment in formal sectors. Improve competition in network industries and agriculture by speeding up the implementation of liberalisation of network industries and reforming agriculture support. Reduce incentives for early retirement by increasing the low statutory pensionable age and decrease financial disincentives to continued formal sector work at older ages. Monetary policy needs a clearer focus on inflation. The fiscal stance should be tightened, with expenditures reined in and higher-than-expected revenues saved. Policies to improve national saving and increase competitiveness are required. Ambitious medium-term fiscal targets should be established and structural reforms deepened. The structural reforms should include improvements in the business environment, increasing educational outcomes, reducing energy dependence and reforms to improve the functioning of the labour market. Improve student performance across social groups and increase low secondary school completion rates by enhancing outcomes and equity in education. Improve public infrastructure, especially for transport as low investment in public infrastructure has contributed to the congestion, hampering productivity. Reform planning regulations so that planning rules at the local level allow adequate balance between economic, social and environmental considerations. Strengthen public sector efficiency by reinforcing competition among health-care providers and improving monitoring of educational performance. Strengthen work incentives by reforming welfare and childcare policies. Monetary policy will need to be adjusted quickly if inflation takes off or macro-prudential tools are insufficient to deal with financial stability risks from the housing market. A lasting solution to house price pressures requires measures to address insufficient supply. High deficits and rising debt mean that fiscal consolidation needs to continue. Reducing bottlenecks in infrastructure, notably in transportation and energy, is a prerequisite to sustaining higher productivity gains. An expansion in public investment in infrastructure is required. Improvements should be made to the economy’s skill base by investing in human capital to enhance potential growth and foster more inclusive growth. Relax immigration requirements in areas with labour shortages, such as manufacturing. Enhance active labour markets policies so as to reduce long-term unemployment and raise labour force participation. Foster further gains in productivity and income by increasing access to high-quality primary and secondary education. Improve the efficiency of the tax system to avoid distorting investment decisions and to counter tax avoidance. Raise the efficiency of the health-care sector to address its comparatively high cost and low coverage. Reduce producer supports to agriculture that distort trade and production, by reducing production-related subsidies and remaining agricultural product import barriers. Policies needed to boost longer-term potential output through investments in infrastructure, raising educational outcomes, improving the tax structure, and developing and expanding a skilled labour force. Forging agreement on a credible, medium-term fiscal consolidation plan and include steps to lower the growth in health-care costs, reform social security and increase revenues. Expand the Earned Income Tax Credit and increase the minimum wage. Expand the Federal Reserve’s communications toolkit so as to provide greater clarity on how the Federal Open Market Committee assesses progress toward its longer-run goals. Continued regulatory oversight to counter the emergence of financial imbalances, particularly those growing outside the banking system. Policies should be deployed to keep mortgage credit accessible and attract more capital into housing finance while minimising risks to tax payers. This is a summary (not direct quotes) of policy recommendations for G20 members made in the OECD’s Going for Growth initiative and in recent IMF Article IV reports. In aiming to raise growth by 2 per cent above the existing trend over the next five years, Australia faces a different set of challenges compared with those economies directly affected by the 2008 crisis. With few exceptions, they still have some distance to go in their recoveries to bring economic output back to capacity. They also have to realign their policy settings as the recovery concludes. The Australian economy has been operating not far below capacity, so the central challenge is to raise productive capacity. That said, the global experience of 2008 confirms that crises (or even severe cyclical shocks) undermine longer-term capacity. Thus the twofold task is to raise productive capacity while making actual output more resilient against the inevitable buffering of the cycle. The policy challenge is to facilitate a smooth transition from the resources investment boom of the past decade. Unlike many economies, investment has been running above historical levels, but as the resources component falls away (it rose by 5.5 percentage points of GDP during the boom), non-resource investment will need encouragement. Commodity exports will be higher, probably resulting in a strong and more volatile exchange rate than before 2008. While the exchange rate is off its highs, it is still at a level that weakens international competitiveness. Australia’s deeply established tradition of maintaining a minimum wage well above that of many industrial countries constrains some policy options. The key to meeting this challenge is flexibility. The Australian economy already rates quite well in this regard, having restructured its manufacturing sector, radically changed its export composition, and accommodated the resources boom without inflation. Wage relativities have responded strongly to the market rather than regulatory constraints. Australia rates well in the OECD’s measures of regulation. Yet the momentum of reform has stalled over the past decade and productivity — even allowing for formidable problems of measurement — is slower than before. One key initiative will be to heighten the reform drive, especially by mobilising public opinion to accept the inevitable disruptions and dislocations. Australian politicians would understand Jean-Paul Juncker’s plaint: “We know what to do; we just don’t know how to get re-elected after we’ve done it”. The substantial reforms that began in the mid-1980s were driven by a powerful sentiment of crisis. No such driving force exists now. As well, the constellation of policy pressures and inputs has shifted, with vested interests having a stronger voice (notably demonstrated in the debate on a mining super-tax in 2010) while the economics-driven analytical input is weaker. Some of the elements of enhancing the reform debate (and mobilising public support) are already in place. There are currently two major public inquiries underway, into the financial sector and into competition policy. Both areas offer abundant opportunities for improvements. The financial sector has absorbed many of the best and brightest graduates over the past two decades, with little to show in terms of more effective investment decisions or stable returns to investors. Instead, the time horizon of investment decisions has shortened, often driven by distorted management incentives. Overly influential rating agencies have distorted financing, discouraging government funding in favour of more expensive private sources. Pension administration has been excessively complex and resource-intensive. In the area of competition policy, the small size of the Australian market is an argument in favour of wider considerations being taken into account, with a greater focus on the economic content of market situations in order to balance an excessively legalistic approach. There are still many areas (particularly in the professions) where vested interests enforce inefficient regulation. With the greater importance of IT and services, finding the right balance between protecting intellectual property and enhancing competition is tricky and decisions will often favour the loudest voice. Policy needs to redress the balance. A stronger role for the technocratic arguments — whether advanced by the Productivity Commission, the Treasury, the Australian Competition and Consumer Commission, the prudential regulators or ad hoc committees — requires resources and will be resisted using generalisations about free markets and regulatory burden. But a complex modern economy requires a strong institutional base as well as a vigorous entrepreneurial voice. Above all, the analysis-driven approaches to reform require strong political support. Non-resident Fellow, Lowy Institute for International Policy. See Larry Ball, Long-Term Damage from the Great Recession in OECD Countries, http://www.econ2.jhu.edu/People/Ball/long%20term%20damage.pdf. See David Gruen, ‘After the Resources Investment Boom: Seamless Transition or Dog Days’, http://www.treasury.gov.au/PublicationsAndMedia/Speeches/2014/20140703. Canadian growth “hinges critically on stronger exports and business investment.” G20 Finance Ministers and Central Bank Governors have been advised to open markets, increase competition through less restrictive regulation, develop support for more efficient long-term investment and tackle structural unemployment. Canada has introduced several initiatives to contribute to the G20 target of an extra 2 per cent in global growth in 2018. Canada should consider additional policy changes in tax reform, interprovincial trade liberalisation, and a ‘youth guarantee’ program. The IMF suggests “restructuring the tax system away from taxes that are likely to be most harmful for efficiency and growth, such as income taxes, in favour of carefully designed energy taxes.” The key to make any tax reform politically feasible is a gradual phase-in, convincing the electorate that the effect will be revenue-neutral. The successful introduction of smart energy taxes, starting small and slowly rising over several years, would require a prior cut in income taxes and payroll taxes, with refundable income-tested tax credits and targeted cash transfers so low-income people are not negatively impacted. The growth impact of revenue-neutral tax reform will depend on the specifics of the reduction in labour and income taxes and the transfers to compensate affected sectors and regions, but one can confidently predict a strong positive increase in employment. The IMF estimates phasing in carbon taxes over several years could increase Canada’s GDP by 1.4 per cent. Canada suffers from interprovincial trade barriers in government procurement, and in goods and services, such as wine and trucking. As Richard Blackwell has noted, “We just have allowed an accretion of barriers over time — everything from marketing boards for agriculture, to restrictions on mobility of labour, to competing regulatory standards, to redundant regulatory standards. All of those discourage the free movement of goods, services and people in the country.” The 20 year-old Agreement on Internal Trade is toothless. It is difficult to estimate the savings interprovincial free trade would deliver, but the barriers within Canada compromise the ability to negotiate international free trade agreements. These would enable stronger exports and business investment, which are critical for growth. Canada should strengthen human capital through better-designed training and apprenticeship programs. In particular, it should remove disincentives in employment insurance and tax credit schemes. And it should reform immigration and pension policies. As Jean Charest, Youth Minister in a 1986 Conservative government, emphasised, “The best way to kill a man is to pay him not to work.” He campaigned that everyone under 25 should be guaranteed skills training but be ineligible for social assistance. His youth guarantee idea has been adopted in Finland and Sweden. The Finnish government provides people under 25 a concrete offer for a job, apprenticeship, traineeship, or continued education, within four months of them leaving formal education or becoming unemployed. The impact on growth is difficult to estimate but should be weighed against the costs of inactivity. Canada does many things right to stimulate growth. Replacing income taxes with smart energy taxes, undertaking real action on interprovincial trade liberalisation, and establishing a youth guarantee would add significant impetus. Senior Fellow, Center for International Governance Innovation. Bank of Canada, Monetary Policy Report Summary, July 2014, http://www.bankofcanada.ca/wp-content/uploads/2014/07/mpr-summary-2014-07-16.pdf. International Monetary Fund, Macroeconomic and Reform Priorities, note prepared with inputs from the OECD and the World Bank, available at http://www.g20.utoronto.ca/2014/G-20%20Macroeconomic%20Reform%20Priorities%20Report%20Feb%2012%202014.pdf. Canada’s economic action plan, available at http://actionplan.gc.ca/. A ‘youth guarantee’ is an umbrella program with the idea that within a short period of unemployment, a young person should be offered a subsidised job, more education, an apprenticeship, or skills training. “Getting Energy Prices Right: From Principle to Practice”, July 2014, http://www.elibrary.imf.org/view/IMF071/21171-9781484388570/21171-9781484388570/21171-9781484388570.xml?rskey=kHyJS5&result=1&highlight=true. One estimate by the Canadian Manufacturers’ Association cited costs that range from 0.05 per cent of GDP to the substantial figure of 1 per cent of GDP, http://www.ppforum.ca/sites/default/files/Beaulieu%20-%20Exploring%20the%20economic%20impact%20of%20AIT%20chapters.pdf. The much talked about need for China to shift the composition of its growth from investment to consumption is not a goal in itself. Nor will it alone help China avoid the ‘middle-income trap’. Investment will remain the vital driver of growth for China in the medium term, but the key is to raise the efficiency and productivity of investment and promote sustainable growth, both financially and environmentally. China needs to implement announced market reforms and open up the economy to market forces while at the same time controlling risks to the economy. For quality growth, China also needs to take decisive measures to improve social equality. Achieving sustained growth will require tapping into the underperforming parts of the Chinese economy. Trillions of yuan will be needed for infrastructure investment in China between 2014 and 2020. Priorities include reconstruction of shantytowns in the cities, the construction of high-speed railways in inland areas, along with large hydro projects and the development of rural areas and improvements in agricultural production, among others. Effective public private partnerships (PPP) will be required in order to avoid the accumulation of further public debt. Fiscal systems will need to be restructured, including expanding local government revenue. Supply side reforms are required. Some of the reforms required for the market to play a decisive role in allocating resources include: the liberalisation of interest rates; environmental impacts being fully priced into the cost of energy resources; improvements in the governance structure of state-owned enterprises; better regulation of monopolies and vested interests; and a strengthening in the rule of law. The interests of small and medium enterprises need to be taken care of, and this should include a reduction in taxes and fees. The momentum of reform should be locked in through the further opening up of the economy. Indigenous innovation policies can only be effective through market-based approaches. Achieving sustainable growth will require reducing social inequalities. China’s Gini coefficient is estimated to have reached 0.47, or even higher, in 2013. In the process of ongoing urbanisation, further land reform should be implemented in a way that sees farmers’ entitlements being increased. Similarly, state control of key sectors of the economy must be reduced, to ensure that the public interest is being served rather than a small group of people being enriched. The government should take measures to equalise the provision of public resources, especially in education, health and social security, so as to narrow the gap between the rich and poor. Stabilising housing prices will also be a positive step from the perspective of reducing inequalities. Sustainable growth will also require dealing with longer-term risks to the economy. Following the financial crisis in 2008, China was applauded for its quick and substantial fiscal stimulus of 4 trillion yuan (US$650 billion), which resulted in a 73 per cent increase in the credit-to-GDP ratio over the past five years. However, the IMF has warned that the rapid expansion in credit cannot be sustained and China may need to grow at a slower rate, perhaps below 7 per cent, in the short term. China’s relatively high saving rate is a positive in countering potential financial risks. Sustainable growth will also require that China deals with chronic environmental risks, which will require the tougher enforcement of environmental regulations. China’s international strategy will need to move ‘beyond trade’ for growth to be sustained. While support of global and regional trade liberalisation will remain at the forefront, China is deepening its international strategy to embrace further investment and infrastructure development. The ‘One Belt One Road’ strategy, which involves extending economic connectivity, should be carried out as a truly win-win outcome for all involved, building capacity and trust in other countries, while helping to diversify Chinese exports. Research Associate, Shanghai Institutes for International Studies. For the past decade, Indonesia's strong growth has successfully hidden serious structural issues. In particular, strong growth has not always meant quality growth. Two external factors have been at play in influencing the Indonesian economy. The first is the commodity boom that started around 2003 and ended in 2011. In 2013, seven out of Indonesia’s top ten exports were commodities, accounting for half of total exports. The end of the commodity boom in 2011 resulted in a widening of the current account deficit. This was exacerbated with the introduction of a ban on mineral exports in January 2014. The impact of the ban on mineral exports has been clearly felt since the first quarter of 2014, where the net export contribution to growth and the contribution from mining production declined significantly. The second international factor is capital flows. These remain very high, albeit volatile, with net portfolio investment reaching a decade-high in the first quarter of 2014. These two drivers of Indonesia's growth are not sustainable as commodity prices are volatile and the 'easy money' era will eventually end. Indonesia will have to find sustainable new sources of quality growth through structural transformation that relies less on extractive industries and volatile short-term capital inflows. Structural transformation has not been as ‘smooth’ as expected. The 20 million jobs created since 2001 have mostly been in the low-productivity services sector. The six million farm households that have moved from the agriculture sector in the past decade might not have found better jobs. The manufacturing sector's growth rate has also been anaemic. Indonesia has one of the highest urbanisation rates in the world. With most of the jobs created in the low-productivity services sector, moving from rural to urban areas might not actually improve people’s welfare. By 2020, Indonesia needs to create 14.8 million additional jobs. As the experience of other countries demonstrates, only by moving to higher productivity and value-added sectors and sub-sectors can Indonesia become a high-income country. Inequality has also been rising steadily since 1999, with richer households benefiting through better access to assets and the increase in the wage premium for skilled labour. Between 2003 and 2010, consumption expenditure by the poorest 40 per cent of the population grew at only 1-2 per cent per year, while the richest 10 per cent grew at 6.5 per cent and the second richest at 5.5 per cent. From external factors that hide structural issues to Indonesia's incomplete domestic structural transformation, the quality of growth is far from being either inclusive or sustainable. However, the dynamism of Indonesia’s young population, alongside the consolidation of democracy, as evident by the third successful direct presidential election this year, may provide a window of opportunity for reforms in the next one or two decades. Indonesia's reform agenda in the immediate term should include: managing the deteriorating fiscal balance as a result of a large and poorly targeted fuel subsidy; heightening macro-prudential policy to deal with possible capital reversals; ensuring that the floating exchange rate serves as a ‘shock absorber’; and increasing and monitoring social safety nets to prevent increased poverty as a consequence of these reforms and risks. Indonesia's reform agenda in the medium term should include setting the right policies and mindset to tap Indonesia's potential for investment and to complete the structural transformation of the economy. Since the commodities boom is over for the foreseeable future, foreign direct investment has swung to manufacturing for import substitution and non-commodities exports, such as the automotive industries (Toyota, Isuzu, and Honda). This trend seems to be entrenched. Furthermore, the soaring prices for land, water and labour in China, combined with increasingly severe environmental constraints, have resulted in factories continuing to move from China to Vietnam and Indonesia. The right implementation of the new trade and industrial laws issued in early 2014 will play an important role in completing Indonesia's structural transformation in the medium term. The new Negative Investment List that is seen to be more restrictive in key sectors, such as the logistic sector, could however be detrimental to tapping investment in needed areas. Indonesia's reform agenda in the longer term should include aspiring to become a high-income country with low inequality, integrated into the global economy. Institutional reforms including regulatory and policy-making process reforms will be key. Improvements in public service delivery at the local level by local governments will also be important. Regional dynamics combined with improved domestic connectivity, especially interisland connectivity, will improve the domestic value chain and competitiveness. Through increased competitiveness, Indonesia will be better integrated into the global economy, which will be welfare-enhancing for all. World Bank, Indonesia Development Policy Review 2014. World Bank, Indonesia Economic Quarterly, July 2014: 36. Slow growth is not a recent problem in Italy. In the ten years leading to the GFC, the annual rate of GDP growth in Italy averaged around 1.5 per cent; that is, one full percentage point less than the average of the G7 economies. Slow growth also pre-dates the launch of the Euro: in the decade prior to the introduction of the common currency, Italy grew at a rate of 1.6 per cent per year on average, again one percentage point less than the G7 average. In fact, GDP growth in Italy has been on a declining trend since the ‘economic miracle’ of the 1960s. In that decade, growth averaged around 5.8 per cent a year. In the two subsequent decades, growth decreased to 3.5 per cent a year and became progressively more volatile. Then in the 1990s and 2000s average growth dropped to around 1.5 per cent a year, barely above stagnation. Several factors contributed to the boom of the 1960s, but one in particular stands out, mainly because it is lost today: entrepreneurial initiative. To exit the tunnel of slow growth (which causes other problems, from unsustainable debt to high unemployment), Italy must recover this lost entrepreneurial spirit. How? By addressing the regulatory and institutional deficiencies that make it so difficult to do business. In this regard, building new physical infrastructure is not a top priority. New roads, bridges, or motorways can reduce travel time between, say, Milano and Rome by maybe fifteen minutes. But is this really going to make a difference when enforcing a contract takes 1,185 days and costs 23% of the claim? According to the World Bank Doing Business survey, Italy is ranked 65 in the world in terms of ease of doing business. Performance is particularly weak in areas like obtaining construction permits, paying taxes, and getting credit. On a scale from 0 to 10, the World Bank assigns 3 to the strength of legal rights in Italy, while the average for OECD countries is 7. Building infrastructure will not improve this situation and will not encourage entrepreneurs. Italy needs to reform the justice system to ensure the full protection and enforcement of economic rights. Reform of labour market legislation is also necessary to resolve problems created by the expansion of contractual arrangements over the past ten years (such as temporary or fixed-term work). Such arrangements were introduced with the objective to achieve greater flexibility, but have instead resulted in employment becoming more precarious and increasingly insecure. The system of industrial relations should be re-orientated to ensure greater attention to the interests of ‘outsiders’ (i.e. those in search of a job), rather than be focused almost exclusively on the demands of ‘insiders’ (i.e. those in power). In addition, competition needs to be strengthened in a number of markets and sectors. And business regulations need to be simplified. In addition to helping stimulate growth, this is also necessary to increase transparency and to control corruption. Finally, Italy should resist the temptation to reduce the size and scope of government for the sake of balancing the budget. Pressured by ill-designed and ill-applied EU fiscal rules, Italy has embarked on a spending review that so far has not delivered any appreciable results. Italy does not need a smaller government. Instead, Italy needs a government capable of (i) increasing the supply of public goods and strengthening social protection/social welfare, and (ii) conducting fiscal policy counter-cyclically to reduce macroeconomic volatility. A fiscal strategy that specifically targets these two objectives will contribute to making growth more inclusive, and thus strengthening its welfare content. In this context, the spending review should reallocate resources rather than cut resources. Italy should, of course, aim at consolidating its long-term budgetary position. But this consolidation should not be pursued at the cost of neglecting the fundamental purpose of fiscal and economic policy. Professor, Griffith Business School at Griffith University. World Bank Group, Doing Business 2014 database, available at http://www.doingbusiness.org/data/exploreeconomies/italy/. The following is a summary of the key elements that should be included in Italy’s growth plan. Streamline employment legislation (rationalising the number and type of job contracts) and the rules governing the settlement of disputes between employers and employees. Reform the labour market with a view to increasing participation and making it more inclusive in terms of gender and age. Extend the coverage of social welfare benefit schemes to workers, both in case of temporary layoffs and involuntary unemployment (by developing a more comprehensive system of unemployment benefits). Enhance active labour policies by reforming the organisation of education and training systems for young people so as to make employment agencies more effective and consistent with the upcoming Youth Guarantee program. Focus new social expenditure on labour activation measures with a view to addressing social exclusion and poverty risks. Follow through with structural reforms, particularly those aimed at boosting the country’s competitiveness. Amend the tax code, especially by reducing the tax wedge and moving taxes from factors of production to consumption, property, and rents. Improve banks’ capacity to expand their credit supply to the real economy and to effectively manage impaired assets. Simplify the relationship between business and public administration, especially by reducing red tape and unburdening enterprises from redundant bureaucratic practices. Pay in full public arrears in the commercial sector and strictly comply with EU payment deadline rules. Initiate further market liberalisation, especially in public utilities (e.g. waste management, urban transport, power and water supply), and lower barriers to entry in professional services. Reform the justice system through measures aimed at simplifying procedures, increasing efficiency and reducing costs. More efficiently and effectively use European structural funds, especially in Southern regions. Focus on spending reviews rather than new taxes, so as to induce public savings without increasing the overall tax burden. Improve tax administration and compliance, particularly combating tax evasion and undeclared work. Comply with the EU’s budgetary rules, with an eye to relaxing fiscal austerity and concentrating resources on productive investments. Balance the structural budget by 2016 and aim for a progressive — but significant — reduction in the public debt stock. Mexico is committed to contribute to the G20 objective of coordinating growth strategies to lift collective GDP by more than two per cent above the trajectory implied by current policies over the coming five years. The required policy measures will be over and above the structural reforms set out in the St. Petersburg Action Plan. Labour reform: bringing more flexibility to the labour market to enhance job creation in the formal sector. Education reform: promoting higher-quality education and human capital improvement, mainly for the lowest income groups. Telecommunications reform: increasing competition and facilitating access to information and communication technologies at a lower cost. Anti-trust reform: fostering competition and investment across all sectors, along with promoting more competitive prices and the adoption of new technologies. Tax reform: maintaining the strength of public finances. Financial reform: promoting a strong and resilient financial sector (Basel III has been enacted into law), improving access and reducing the cost of credit, mainly for households and small and medium enterprises. Energy reform: promoting competition and investment in the sector to fully exploit Mexico’s energy competitive advantage. Mexico’s federal government recently presented the National Infrastructure Program 2014-2018, which includes a comprehensive infrastructure development strategy that aims to increase the country’s economic growth and productivity. This program estimates public and private investment in the sector to be almost $US 600 billion dollars over the next five years. Removal of import behind-the-border regulations. Meaningful unilateral reduction of import tariffs, where Mexico’s tariff is now 5.7 per cent, comparable to those prevailing in developed countries. Increasing the efficiency of business management processes, through such actions as the implementation of a single window for import and export formalities. The comprehensive structural reform agenda will have a significant impact on employment. The Mexican Ministry of Finance estimates that the reform agenda could create around 350 thousand additional jobs per year by 2018. In November 2012, the Mexican Congress approved a comprehensive labour reform program. The reforms are expected to contribute to a more flexible labour market, promote formal employment and increase labour productivity. In terms of boosting labour market flexibility, the reforms allow firms to have training programs, trial contracts and temporary contracts for specific activities. Moreover, they protect vulnerable groups, especially women and the disabled, while also reinforcing health and civil protection measures. President, Mexican Council on Foreign Relations. Mexico Secretariat of Finance and Public Credit, National Infrastructure Program 2014-2018, Mexico Official Gazette of the Federation, 29 April 2014. The Russian economy today is in a very different situation than when the decisions of the previous G20 Leaders’ Summit in St. Petersburg in September 2013 and the Finance Ministers and Central Bank Governors meeting in February 2014 were taken. One of the most significant changes is the economic sanctions imposed on Russia by the United States, the EU and other countries. Obviously, these sanctions negatively affect the economy. However, the more important impact is the uncertainty regarding the forms, scale and length of the sanctions. There are currently no official assessments of the impact of the economic sanctions, either by the Russian Government or international organisations. The assessment by experts at the Russian Presidential Academy of National Economy and Public Administration (RANEPA) is that that the sanctions will lower Russia’s GDP growth by 0.3–0.4 percentage points in 2014 and by 0.5-1.0 percentage points between 2015–2017. Therefore, there is a risk that Russia might not fulfil its contribution to the G20 commitment to increase global growth. This risk is beyond the control of the Russian Government. Nonetheless, Russia intends to implement its national plan on accelerating economic growth, raising the quality of growth and in turn changing the country’s growth model. To achieve this goal, it is necessary to implement the following major reforms, which broadly correspond to the G20 decisions and agenda. Despite the increased outflow of capital, the decline in foreign investment, and the increased volatility of the exchange rate, the Central Bank and the Government of the Russian Federation are committed to ensure the transition to inflation targeting in 2015, and to lower inflation to below 5 per cent per year. The federal budget deficit should not exceed 1.2 per cent GDP and public debt should remain stable. The budget deficit can be funded from the proceeds of oil and gas exports and privatisation. improving the conditions for the development of small- and medium-sized enterprises. In this second area the aim should be to raise Russia's place in the World Bank Ease of Doing Business ranking. A significant proportion of the planned budget investments and PPP projects are in the area of infrastructure, especially the development of new transportation and logistics routes. This investment is particularly important for lifting Russia’s growth rate. During the past year, the Central Bank has made serious efforts to cleanse the Russian banking system from unstable and non-transparent banks. In the next few years it will be necessary to continue this process and strengthen the whole macro-prudential supervision system, and the system of monitoring not only banks but also other financial institutions. The national plan on the de-offshorisation of the Russian economy is aimed at not only raising tax revenue, but also making business more transparent and reducing the opportunities for corruption and the development of the shadow economy. Russia has a relatively low unemployment rate, which can be explained partly by demographic factors, that has resulted in the reduction in the working-age population. However, it is extremely important that Russia carry out labour market reforms aimed at correcting regional and professional imbalances, developing geographical and intersectoral mobility, retraining, reforming professional education, and attracting legal migrants from abroad. Russia’s membership of the WTO created new opportunities for foreign trade and enabled full-scale participation in the international trading system. However, Russia should expand its participation in regional integration associations such as the Customs Union, the Eurasian Economic Union, APEC, and others. Russian companies are focused on cooperation with companies from other countries in building global value chains, but in the context of the expanding sanctions, progress in this area will, unfortunately, be limited. To enhance energy efficiency and reduce energy subsidies, Russia should as soon as possible cancel export duties on oil and oil products, and reform the taxation system within the oil industry. In terms of natural gas, it is urgent that access to the gas pipeline system is liberalised so as to ensure gas supply to domestic and foreign markets. Russian Presidential Academy of National Economy and Public Administration (RANEPA). South Africa’s current growth rate, and trajectory, is weak. Global circumstances, notably its exposure to continued European stagnation and financial market tapering by the US Federal Reserve Bank, are partly to blame. Structural conditions, particularly continued commodity dependence, weak manufacturing capacity, skills shortages, and infrastructure bottlenecks, also play a role. While problems with macroeconomic policy, specifically an expanding fiscal deficit driven by recurrent expenditures, are emerging, these are not currently insurmountable. Overall, the weak growth trajectory primarily reflects microeconomic policy weaknesses or misdirection, resulting in mounting investor angst. This disquiet is greatly aggravated by militancy in the trade union movement, which has surged in recent months. Clearly deficient external demand cannot be decisively addressed domestically. Nonetheless, more could be done to open new markets to non-traditional South African exports, through pursuing free trade agreements and deeper regional integration in Africa. The intensifying crisis of the multilateral trading system, and likely escalation of mega-regional trade negotiations among key developed and developing markets, sharpen the possibility that South Africa’s exporters will increasingly be disadvantaged in key markets. But a concerted response to these developments is unlikely since it would require openness to reciprocal trade liberalisation, a policy stance not common in South Africa. Structural deficiencies are a function of economic evolution over time, and at least in my opinion are not easily amenable to government-driven solutions. The exception is addressing infrastructure blockages, which are, correctly, a core focus for the South African government. Nonetheless, more could be done to leverage existing comparative advantage in minerals and agricultural commodities exports, particularly through confidence-building measures in those sectors for domestic and foreign investors. The common thread running through these initiatives is an increasingly inward-looking, national security-oriented, mindset in the governing tripartite alliance. This mindset is reinforced by political developments, notably the ANC’s diminishing, albeit still dominant, electoral fortunes; the rise of the militant populist and largely youth-based political party, the Economic Freedom Fighters; and the seemingly imminent formation of a Workers Party by the most militant and largest trade union in COSATU. Reinforcing this political economy are increasingly vocal voices within the black business community and broader society agitating for more redistributionist policies, and protection-minded business interests that have coalesced around the SACP trade minister, who is inclined to deliver on their desires. These developments are underscored by the ANC’s failure to deliver on promises of jobs and significant economic growth, resulting in finger-pointing at the economic model in place. Nonetheless there are some counter-trends, which offer hope for market reform advocates such as myself. The infrastructure spending plan, if properly implemented, will lead to significant de-bottlenecking of the economy, which would be growth promoting. Second, there is rhetorical focus in the ANC on implementing the National Development Plan (NDP) — a centrist growth agenda — although implementation is subject to the political economy described above. Furthermore, various state agencies are taking concrete actions that could be growth promoting. These include: ramped up manufacturing development incentives; elaboration of a more focused special economic zones program; the digital broadcast migration program; and the agricultural policy action plan. Total envisaged spending in the next three years on these items alone is expected to amount to R38.3 billion (approximately US $3.5 billion), a substantial sum. Embrace trade reforms and reciprocal trade liberalisation with new partners, especially in Asia. Senior Research Fellow, South African Institute of International Affairs. The UK is better placed than many of the G20 advanced economies, having started to grow again from the start of 2013. Employment has also recovered reasonably strongly, and unemployment (at least on conventional measures) is not much above historical average levels. However, even after adjusting for a loss of capacity in the long drawn-out recession, the output gap is still firmly negative. Productivity remains low relative to competitors, and is growing only slowly. Furthermore, much of the gain in employment has been in part-time and low-paid jobs, thus labour market problems remain. the process of rebuilding the health of the financial sector has to be completed. The macro policy stance is unbalanced, with monetary policy having to remain overly easy in order to offset the impact of fiscal consolidation. The fiscal stance is also overly deflationary because the action taken to reduce the deficit is resulting in an increase in income and wealth inequalities. But extremely low interest rates also open up possibilities for growth-enhancing investment. The policy toolkit also needs to be expanded with macro- and micro-prudential measures to focus on developments in the housing market. The fiscal balance should be changed to increase the tax burden on high-income earners and wealth sectors. In particular, increasing taxes on high-value housing could reduce the house price bubble (concentrated on London and the South East). The public sector should increase its involvement in infrastructure investment, both directly and indirectly. Direct public investment should be financed by additional borrowing, which would add to gross public debt but leave the government balance sheet unchanged. There is also a role also for indirect measures, such as public guarantees and measures to boost private financing instruments. Stronger measures are also needed to incentivise individual pension provision. This would increase the private funding available for longer-term investment and reduce future public pension liabilities. Macro- and micro-prudential measures to reduce financial institutions’ exposure to over-priced housing markets could also help rebalance the housing market as well as increase credit flows to non-housing industrial sectors, and thus help to generate jobs. The overhaul of financial regulation should be completed quickly, to bring to an end as soon as possible uncertainty over the size and shape of the financial sector. The government should also move as quickly as possible to reduce its shareholdings in major retail banks, to reduce public debt levels and increase competition in the banking sector. Fundamental changes are also needed to improve the skills and employability of young people. There are no easy options, and the impact will only be realised over the long term. But without continuous up-skilling it will not be possible to reduce the international productivity gap facing the UK. Finally, the result of the Scottish independence referendum has taken away a major source of uncertainty. But it has been replaced by a wider debate on the nature of the UK — with calls for greater devolution of powers in all regions of the UK, as well as fundamental political disagreements about the UK’s relationship with the EU. There is a risk that these arguments, combined with the usual political uncertainty in the run up to a general election in mid-2015, will dominate the policy debate. Unless the UK government can also focus on the actions needed to boost sustainable growth, there is a serious risk that the difficult political decisions will be ducked. As the world’s largest economy, the United States will play a critical role in the success or failure of the G20’s goal of increasing global growth by an additional 2 per cent by 2018. The IMF currently forecasts average annual real GDP growth for the United States at slightly below 3 per cent through 2018. There is limited scope for more accommodative fiscal or monetary policy to raise this trajectory; thus structural reform holds the key to any significant boost in US growth. However, it must be acknowledged that because the United States is also the world’s frontier economy, there are clear limits to how rapidly US productivity can grow. Moreover, policy will be constrained by the country’s enormous debt overhang and by the current climate of political dysfunction in Washington. As recognised in the St. Petersburg Action Plan, the top priority for structural reform in the United States is improving the country’s ageing infrastructure. In 2013, the American Society of Civil Engineers estimated that US infrastructure needs through to 2020 would require US$3.6 trillion in investment — roughly $200 billion per year beyond what existing funding mechanisms are expected to supply. The Obama Administration has made addressing this gap a top policy priority but has thus far been unable to win Congressional approval of even the relatively modest US$50 billion infrastructure spending plan outlined in the St. Petersburg Action Plan. However, political recognition of the need for greater infrastructure investment appears to be growing; the key to consensus is likely to be less emphasis on Federal spending and more on incentivising State-level spending and long-term private-sector investment. A second policy priority for enhanced US growth over the medium term is labour market reform. As an ageing population causes a slowdown in the rate of labour force expansion and necessitates a greater focus on boosting productivity, Democrats and Republicans have begun to debate a wide variety of policy responses, from expansion of the Earned Income Tax Credit and an increase in the minimum wage to development of new apprenticeship and non-degree training programs. Targeted immigration reform could also play a major role in boosting both labour supply and productivity. While the political prospects for reform in this area are limited prior to the 2016 Presidential election, they will likely improve thereafter. In addition, the Obama Administration has appropriately stressed the importance of worker-training programs to boost productivity and potential growth. In this regard, passage of the strengthened Trade Adjustment Assistance (TAA) legislation in the near term would be most helpful. This points to a third priority for US policy to enhance growth: international trade liberalisation. Since the global financial crisis, trade has played a critical role in sustaining the US recovery; the Obama Administration claims that approximately one-third of US economic growth has been driven by exports. The United States is currently involved in a number of important trade negotiations at both the multilateral and regional level, including on trade facilitation, services, and information technology, and regionally through the Trans-Pacific Partnership (TPP) and Transatlantic Trade and Investment Partnership (TTIP). In addition to using its leadership to push for progress on multilateral economic agreements, Washington should redouble its efforts to complete both TPP and TTIP within the next 12-24 months; a completed TPP agreement alone would produce estimated annual income gains for the United States in 2025 of some $77.5 billion. Other growth-enhancing reforms include capitalising on America’s dramatically improved energy posture by removing export restrictions on crude oil, retooling the country’s energy infrastructure to transport and export gas, and incentivising investment in green technology. An overhaul of the US tax code and additional streamlining of regulations would also boost investment and produce growth dividends, as would the conclusion of a bipartisan budget deal aimed at promoting fiscal consolidation over the medium term. Reforms to improve educational outcomes would also raise the United States’ long-term growth trajectory but, even if advanced in the near term, are not likely to contribute much to meeting the Brisbane growth target. Again, these are all challenging objectives in the current political environment and thus will be difficult in practice to advance before the 2016 Presidential election. The easy path to stronger global growth would be for the United States to resume its role as the world’s ‘consumer of last resort’. However, this would clearly fly in the face of the other two adjectives modifying the G20’s growth objective first set out at Pittsburgh in 2009: ‘sustainable’ and ‘balanced’. Structural reform in the United States must therefore be focused on removing supply-side constraints and boosting productivity, and must be complemented by reforms in China, Germany, and other G20 economies to generate more balanced sources of growth. Simon Chair in Political Economy, Center for Strategic and International Studies. Washington, DC. As Federal Reserve Vice Chairman Stanley Fischer noted in a recent speech, Fed estimates of U.S. long-term potential growth are below 3 per cent, having steadily declined since the crisis to between 2 and 2.25 per cent (down from 2.5 to 3 per cent in January 2009). Stanley Fischer, “The Great Recession: Moving Ahead,” 11 August 2014, http://www.federalreserve.gov/newsevents/speech/fischer20140811a.htm. Peter Plummer, Michael Petri, and Fan Zhai, The Trans-Pacific Partnership and Asia-Pacific Integration: A Quantitative Assessment, Peterson Institute for International Economics and East-West Center, 2012. For example, one estimate puts the impact of tax code reform at a 1.6 per cent increase in real GDP in 2023 over baseline projections. See Joint Committee on Taxation, “Macroeconomic Analysis of the ‘Tax Reform Act of 2014,’” 26 February 2014. Available at https://www.jct.gov/publications.html?func=startdown&id=4564. On 20 September 2013, Congress failed to appropriate funds for the United States federal government. A sixteen day shutdown of the federal government ensued. President Barack Obama, now with urgent demands in Washington, cancelled his trip to the Asia Pacific Economic Cooperation (APEC) meeting in Bali. And US trade negotiators postponed a negotiating session in Brussels on the Transatlantic Trade and Investment Partnership (TTIP). While newspapers have moved on from this episode — which now seems to have happened in a previous era — Washington remains mired in the intense political gridlock heralded by the rise of the Tea Party in 2010. This has impeded the ability of America to take the lead in global economic governance, despite the efforts and best intentions of the White House and the US Treasury. With the United States undergoing this dreary phase in its politics, the Administration’s emphasis will be on realistic efforts to engage in global economic governance. This may not be enough, however. The reform prescriptions for the United States to increase its economic growth rate are well known — including higher infrastructure investment and increased savings, on which the president has laid out executive actions in his 2014 State of the Union speech. Meanwhile the Federal Reserve holds the responsibility to fine-tune monetary policy. In the area of international economic policy, Congress still needs to approve IMF reform, and provide negotiators with credibility in discussing the proposed TTIP and Trans-Pacific Partnership agreements. All of this is gravely important for the G20 and for global governance. The world is wondering if the United States has enough political interest to carry the global economic system — that runs on America’s centrality — into the twenty-first century. Emerging economic powers, particularly the BRICS, have formed the kernels of an alternative. One sector that has budding political dynamism in the United States is energy. The economic boon of natural gas to the United States has strong connections to the pressing concerns of G20 countries, including in the geopolitical realm. The United States will need to catch up with its energy policy, and should formulate some guiding points. The White House is taking executive action that will lead to significant improvements in energy efficiency in the United States, particularly the energy efficiency of buildings and vehicles, which will see changes in the energy mix with a decline in reliance on coal. This provides a compelling starting point for the United States to introduce new dynamism into the G20 and to demonstrate its multifaceted ability to lead. Associate Program Officer, The Stanley Foundation.